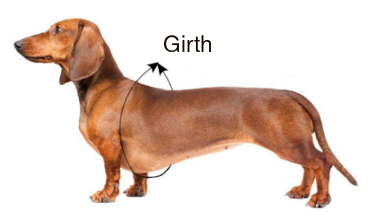 Finally a great fit for a dachshund! A+ Absolutely love these. Great high quality fleece!!!!! Best sweater for my babies. Exactly what we needed easy to get on and off. Soft. Love, love this sweater. My little doxie is hard to fit as he is a very long boy. This fits so well and covers his entire back. I have ordered a second one as he wears this all of the time as he is cold natured. Will be ordering more. Washed well. Thank you. No pet store sweater I've tried has ever fit right. This one is perfect. Easy to put on and it stays on! Baxter loves it. Highly recommend! I'm sorry to hear the sweater didn't meet your expectations. You can return it for a refund. 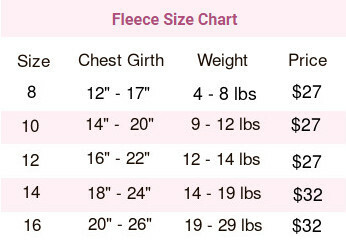 The fit and the fleece are perfect for my 2 mini long hairs. When they go on a walk they always get compliments. JUST TOO CUTE FOR WORDS!